It got Real Cold here, slowing everything down except the accumulation of heating bills and consumption of alcohol. On the less frosty days I’ve been spending a little time in the garage finishing up the Centipede cocktail cab. 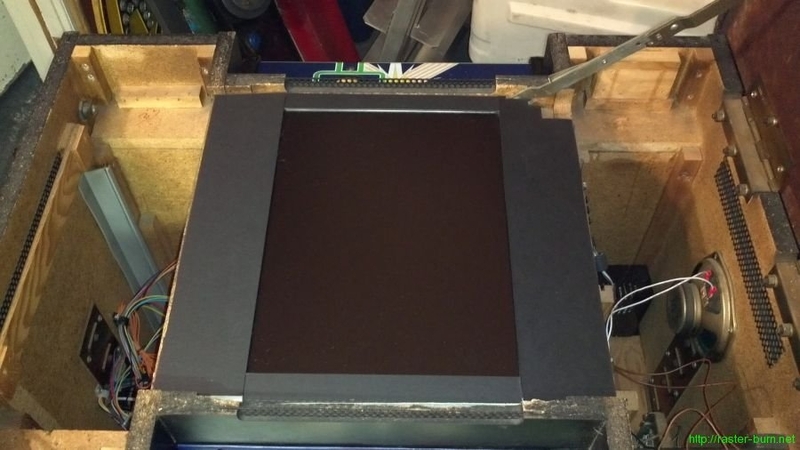 Picked up another piece of mat board and made a surround for the LCD. Finish isn’t as nice as the one for the Gun Fight cab but it’s also not nearly as visible once the top is down and the smoked plexi is in place. 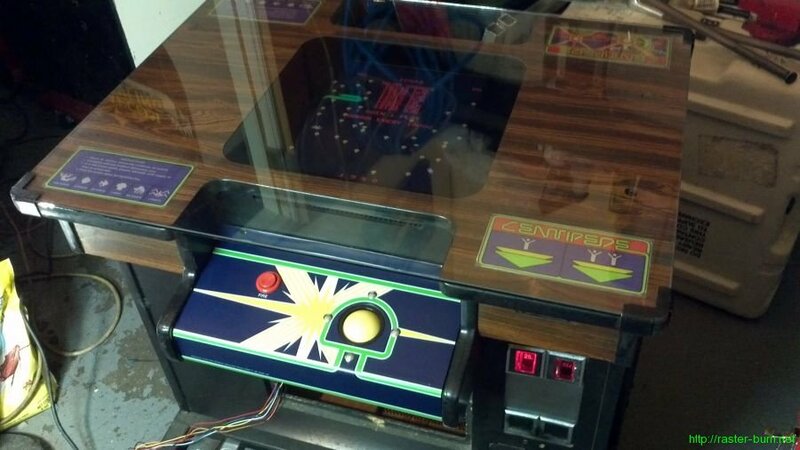 Also got the new CPOs on the player 2 side, and wired up both trackballs. I had to swap out the original optical encoder boards with some Happ style ones since the Atari originals apparently don’t play nice with the 60n1 boards. Also had to swap the signal wires on one board for each trackball in order to get proper operation. Without doing so one axis would always end up backwards regardless of how the 60n1 was configured. Found this too. Hadn’t noticed the old op tag on the player 2 side. 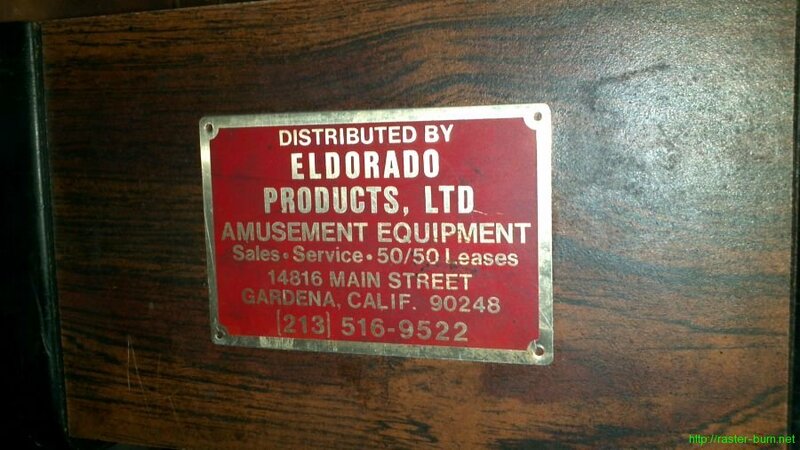 Eldorado Products of Gardena, CA seems to have been actively doing business at least up until 1991, but seems to gone defunct before the Internet really took off since the company’s web presence is solely comprised of Yellow Pages scam and directory aggregator spam sites that seem to have picked up its old contact information crawling an old industry mailing list.